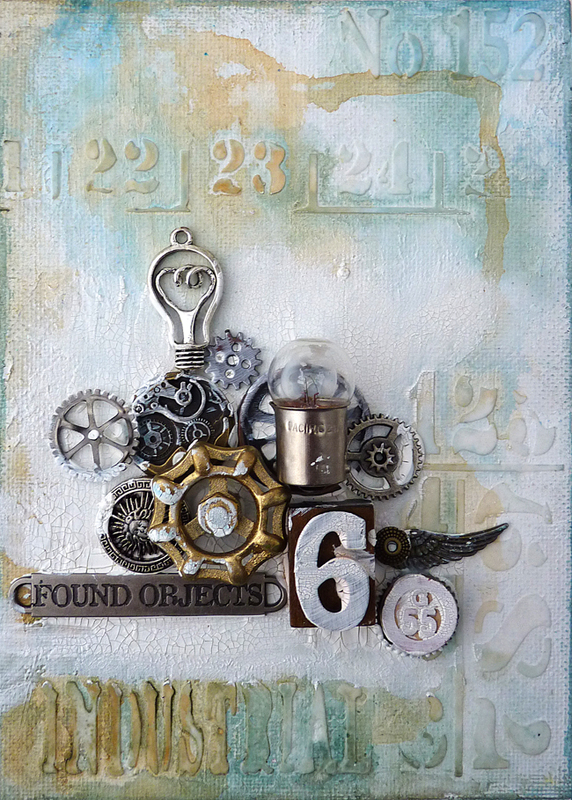 I am sharing a small DecoArt Mixed Media Team project with you today that went live on their blog in February. I have added the whole tutorial because I like to keep my creations all in one place. Take a canvas board which is 5 x 7 ins in size. 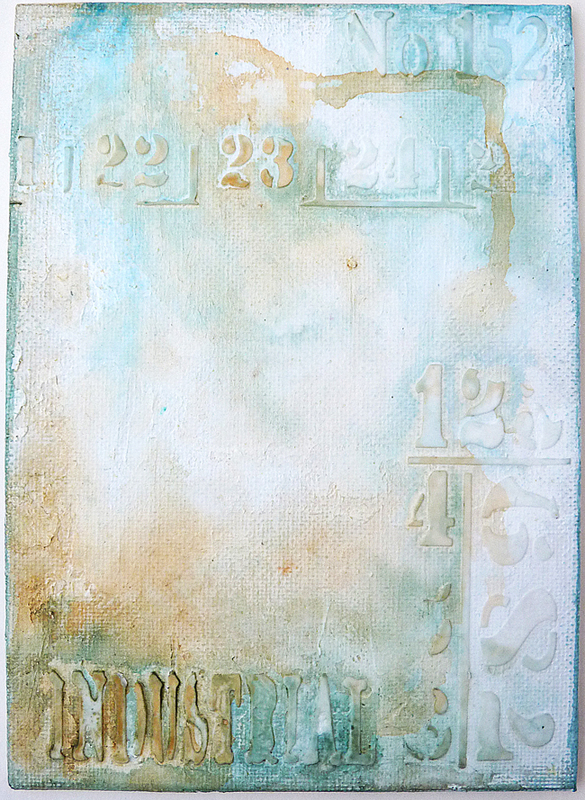 Take a palette knife and mix DecoArt modeling paste and white gesso together in about a 50:50 mix and then randomly and thinly spread it over the surface leaving some of the canvas board exposed and leave it to dry. 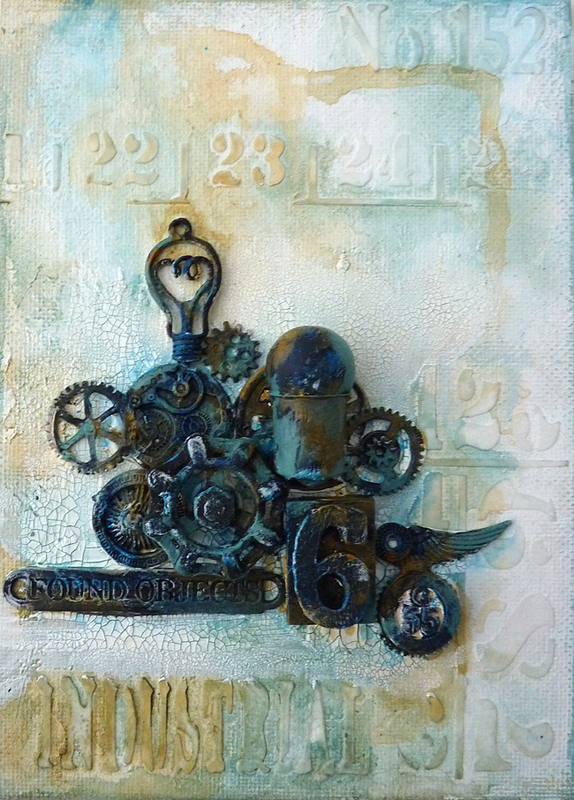 Add some textured stencilling using modeling paste. 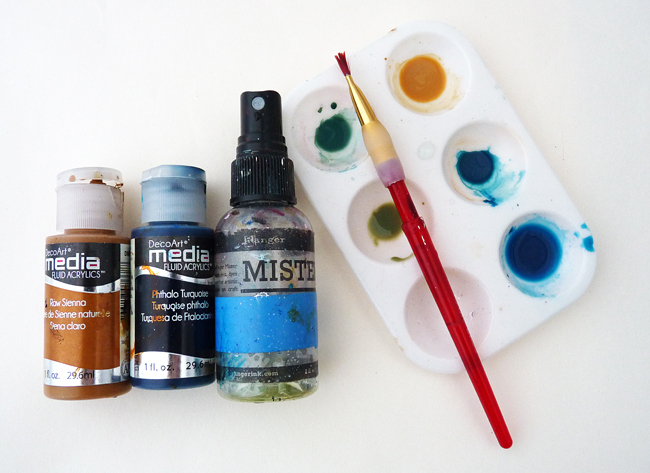 One of my favourite ways of laying down colour is to mix watery washes and adding a little on the canvas, spritzing with water, letting it drip and then drying it before adding another layer and repeating the process until you are happy with it. I chose two colours that look good together (phthalo turquoise and raw sienna) and would blend to create tonal contrasting colours. 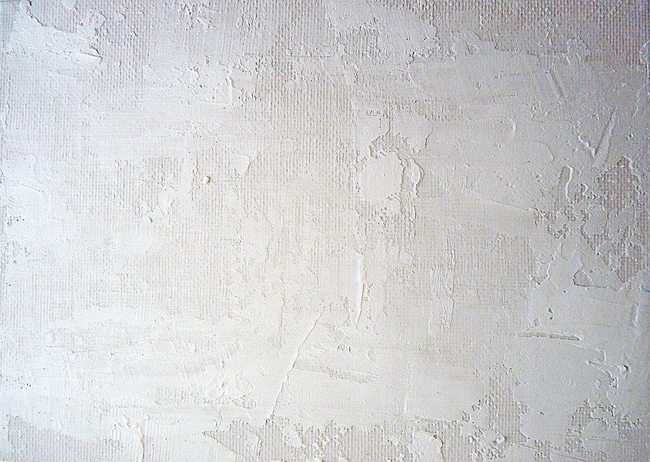 As well as spritzing and drying I also rubbed some of the colours around the edge of the canvas with my finger. 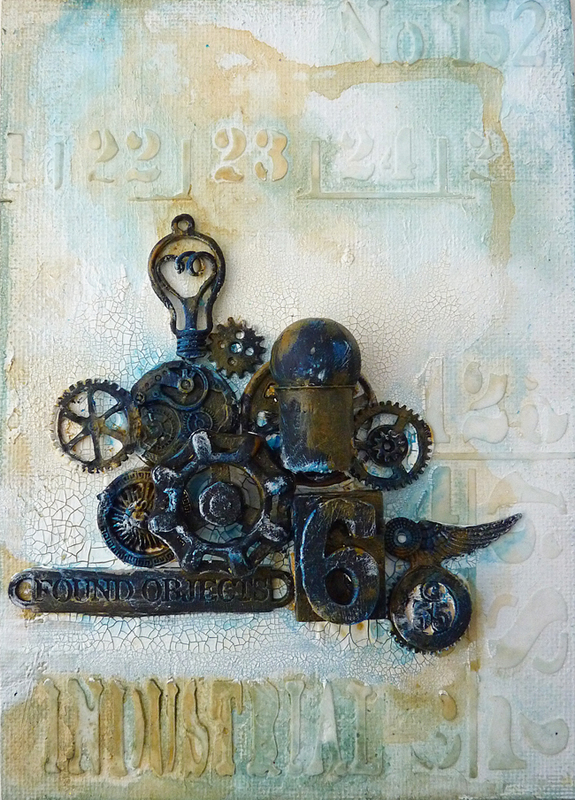 I searched out some metal and wood pieces to put together for a 3D collage and adhered them with decoart crackle paint which gave me some texture around the pieces when it dried. I didn't risk the large bulb staying in place without extra help so I glued that piece on with matte medium. 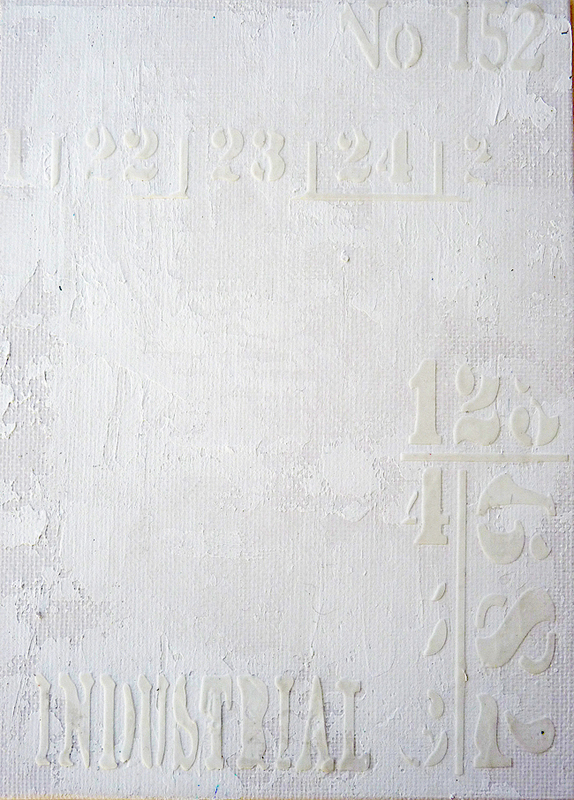 Next came a careful coat of black gesso to unify all the pieces and give me a surface to take the acrylic paints. 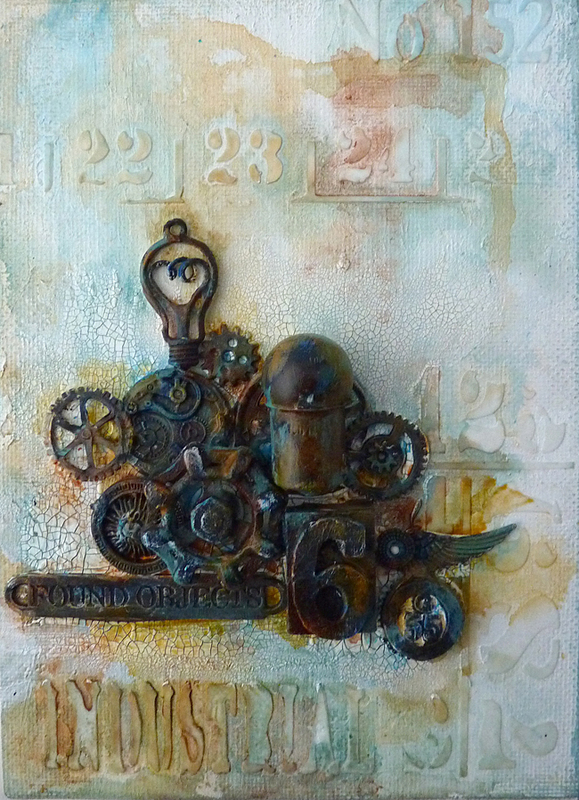 .... and began adding patina colours starting with the same colours I had used on the background. .... I dabbed and spritzed some of the colours into the background as well to build up the conformity of the same colours - here I used the raw sienna. I also mixed the two with some titan buff to get that lovely patina green colour. 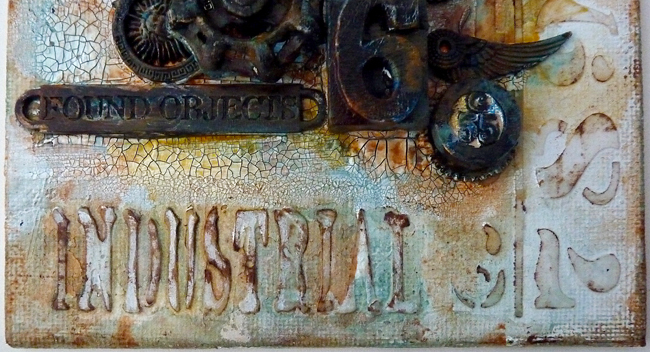 Now to get more of the industrial feel by adding 'rust' with burnt sienna and transparent red iron oxide. Finish off with a coffee archival ink pad rubbed extremely lightly over the stenciled areas to just highlight them with a rusty feel. You can see how it highlights the texture paste quite nicely. 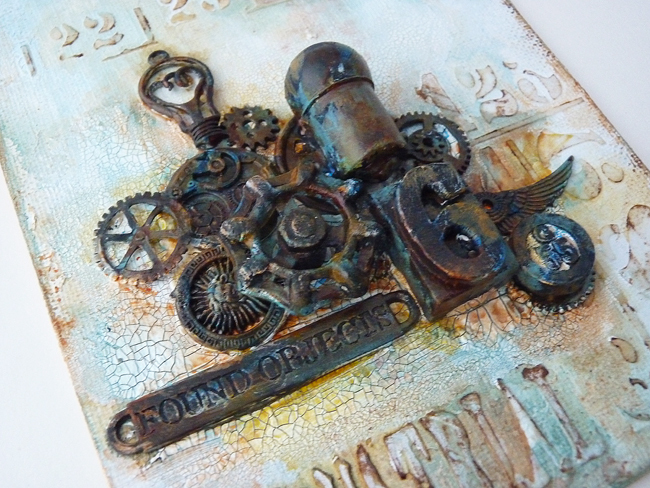 This went into the Packhouse back in March and sold really quickly so I will be using this style again to create more. 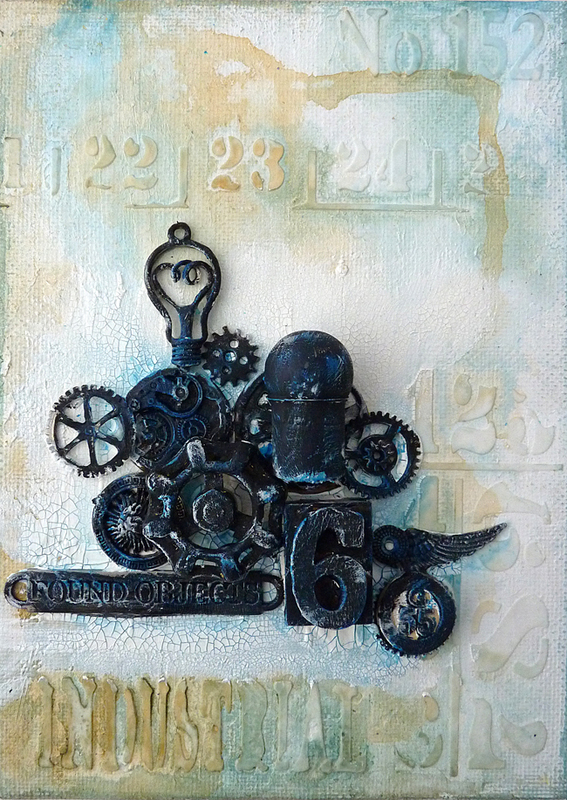 Thanks for stopping by and sorry if you already saw this on the DecoArt blog but thank you for looking. Another great canvas. Love all the details. Another beautiful stunner here Brenda! I love to see the progress of your amazing textures and layering! Fantastic canvas, Brenda. The elements are arranged perfectly. Its a fabulous project and great photos showing how you brought it all together. 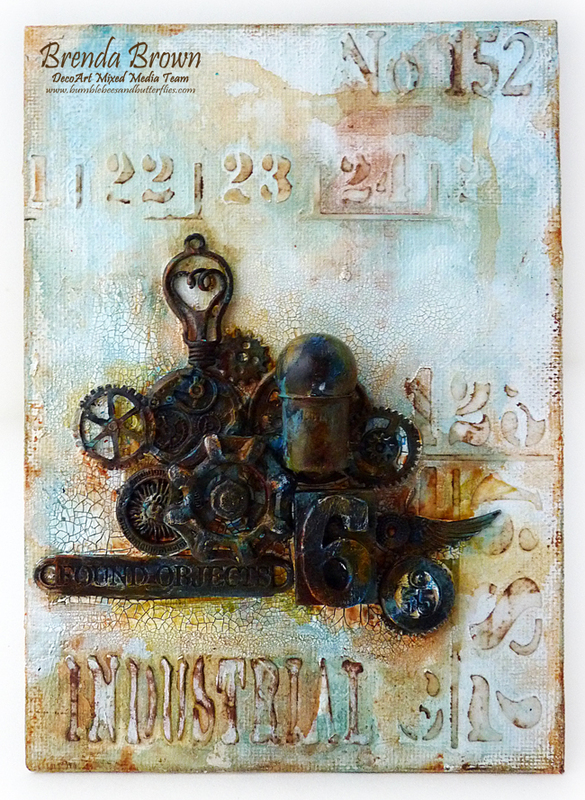 A fabulous piece, love the rusted elements against the softer shades of the background. Great step by step pictures showing how this came together. 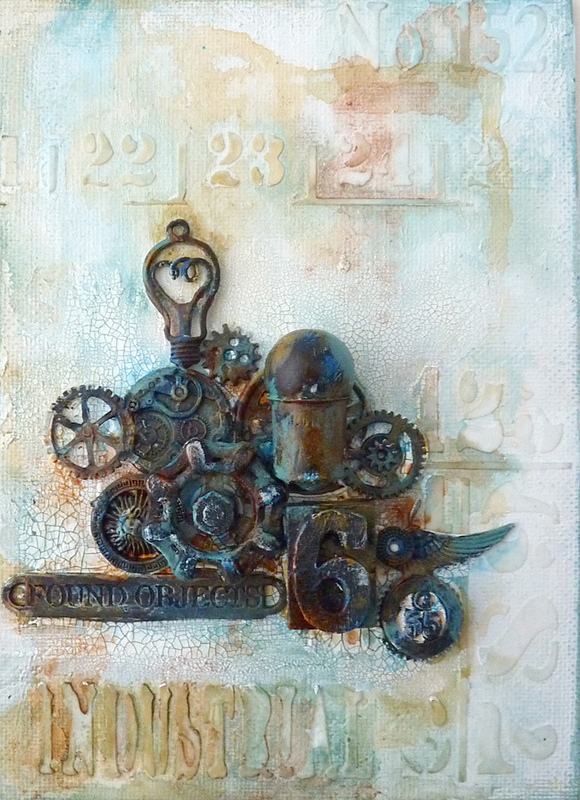 This is fabulous Brenda...............an amazing background and I love the rusted elements. What a great canvas, great design and beautiful details , thanks for showing us all your steps with this tutorial , it's always nice to learn some more technics!! 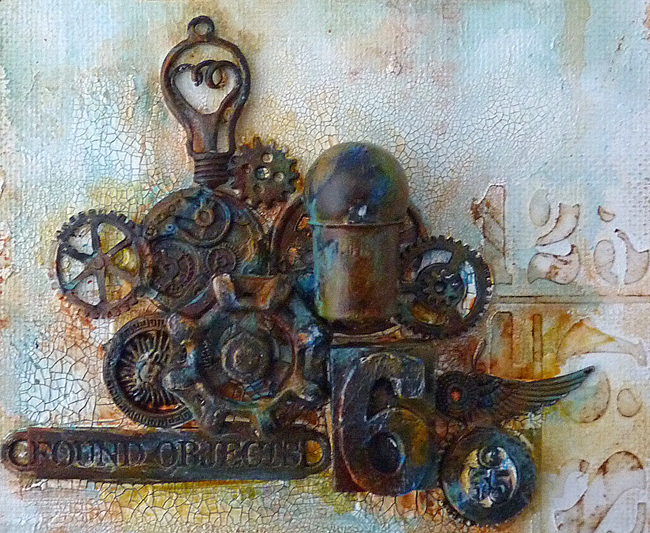 Totally scrumptious crackle and rust and embellishing - altogether inspirational! This came to me via e-mail about a week ago, and I've been itching to get over here and get a good look! You know how much I love rust in any shape or form, and I'm always looking for new approaches. This is fabulous! Pinned and your techniques will be used! Bravo, Brenda!!! Oh, and your metal collage is perfect!